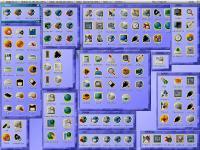 This is an uncontinued GlowIcon set for AmigaOS4 based on a 256 colour palette. The author can not be made responible for any damage on Hard- and/or software. YOUR USING THIS MATERIAL AT YOUR OWN RISK!